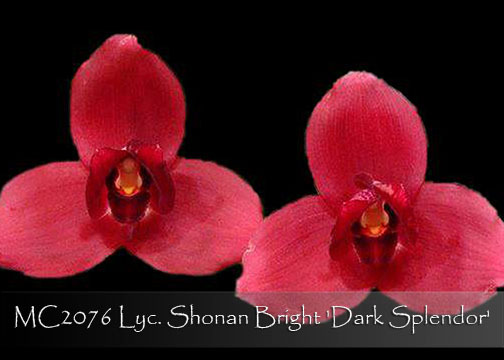 ‘Dark Splendor’ is the perfect clonal name for this full form richly colored fragrant Lycaste ! Lyc. Shoalhaven, as the pod parent, has contributed exceptionally round form with overlapping sepals to this clone. Lyc. John Ezzy, the pollen parent, also has Lyc. Shoalhaven as one of its parents, adding even more to its great form and color. 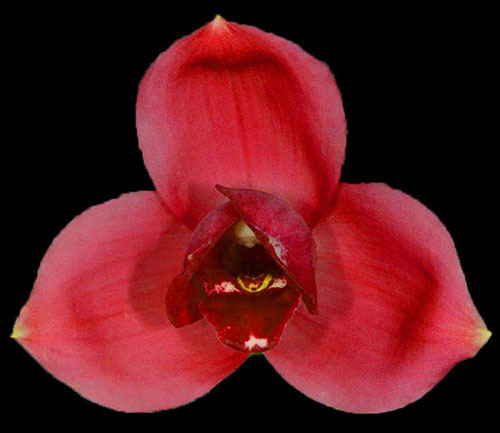 Accented with deep burgundy petals and lip, the result has been an outstanding Lycaste. Very Highly Recommended !